BANK OF NOVA SCOTIA $72.72 (Toronto symbol BNS; Shares outstanding: 1.2 billion; Market cap: $89.8 billion; TSINetwork Rating: Above Average; Dividend yield: 4.8%; www.scotiabank.com) is Canada’s third-largest bank with total assets of $1.03 trillion. The bank will raise its quarterly dividend by 2.4% with the April 2019 payment, to $0.87 from $0.85. The new annual rate of $3.48 yields a high 4.8%. Bank of Nova Scotia is a buy. 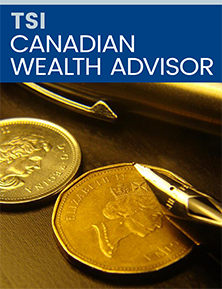 GREAT-WEST LIFECO $30.65 (Toronto symbol GWO; shares outstanding: 987.7 million; Market cap: $30.3 billion; TSINetwork Rating: Above Average; Dividend yield: 5.4%; www.greatwestlifeco.com) is Canada’s second-largest insurance company, after Manulife Financial. It also offers mutual funds and wealth management services. Power Financial Corp. (Toronto symbol PWF) owns 67.7% of the company. Starting with the March 2019 payment, the company will raise its quarterly dividend by 6.2%, to $0.413 a share from $0.389. The new annual rate of $1.65 yields a high 5.4%. In the three months ended December 31, 2018, Great-West’s revenue fell 9.4%, to $11.7 billion from $12.9 billion a..
funds, investment portfolio, dividend, mutual funds, reit, wealth management, investment, portfolio, tsinetwork. Their Asian gains help offset a slower U.S.